Here is another in my “Honest Reviews” series, where I am going to give you my genuine thoughts about the poker room I am reviewing. 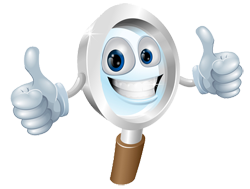 Too many reviews online nowadays are paid reviews that only present a very distorted and favourable view. 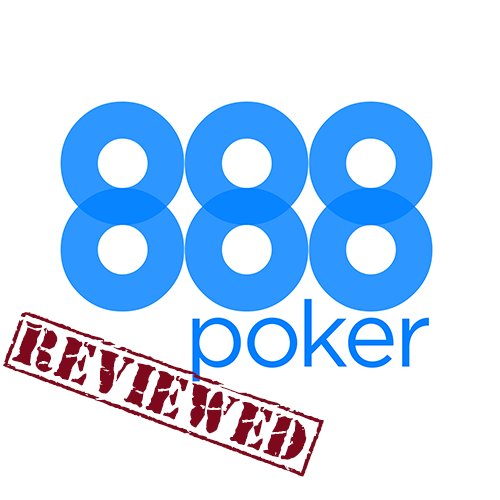 Well not here, in this 888 Poker Review I am going to tell you what I like, but also, and most importantly, what I don’t like. Both sides of the story so that you can make an informed decision. This time I am taking a look at 888 poker. Of course, bear in mind that this is just my opinion, and yours may be different to mine, but hopefully some of the items discussed here you will relate to and it will assist you in choosing an online poker site to play at. I’ve been in the gaming industry since 2005 and have tried and tested hundreds of poker sites and software since then, so hopefully I do have some worthwhile observations to share with you. 888 is one of the oldest poker operators in the industry, but are they trusted by players and is what they offer up to industry standards? These are all questions that I am going to look to answer below. 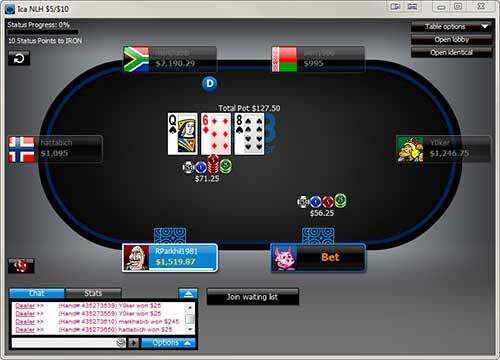 888 Poker is part of one of the oldest online gaming brands around. Part of the 888 group which includes poker, casino, sports, bingo and many other games all under the same brand. The company was first launched in 1997 by 4 brothers, and has been through a number of name changes such as casino-on-net, pacific poker and others before settling on the brand it is known by today. 888 is well trusted in the online gaming market due to a few factors. First is the fact that it has been around for so long, pretty much since the beginning of the online gaming market and not long after the mainstream internet boom commenced. They have achieved a gambling license and are regulated by the highly respected Gibraltar Gaming Commission, which is a possession of the British Crown and home to some of the largest gambling operators on the planet. It is also a publicly listed company on the London Stock Exchange which means it gets a second round of regulation and scrutiny from this highly prestigious stock exchange and it’s big institutional investors. The company has accumulated a large player base of over 5 million players registered with them, which again gives me a lot of comfort, as they could not achieve this size of player base if they did not act properly and honestly. Lets start of with the negatives that I don’t particularly like about 888 poker and which I think let it down somewhat. Certainly not Video Game style Graphics! Although I quite like the software and functionality of the software as I have mentioned in more detail below, you certainly can’t say the graphics are stunning. Perhaps we have been spoilt by the spectacular video game style graphics of Full Tilt Poker or 3D software like PKR, but what you’ll find with 888 poker is basic and functional graphics. If spectacular graphics is not a concern to you, then this software is actually very good. The functionality is great and what they have concentrated on is ensuring fast and speedy games of poker, which is possibly the correct approach to take for most poker players. This may be a controversial view – and once again it is just my own opinion, and I fully understand that others may disagree. Also it’s important to state that this feature is optional and only active on certain tables, and luckily these tables are the minority of tables, so if like me, you don’t like it, then you just avoid those tables. 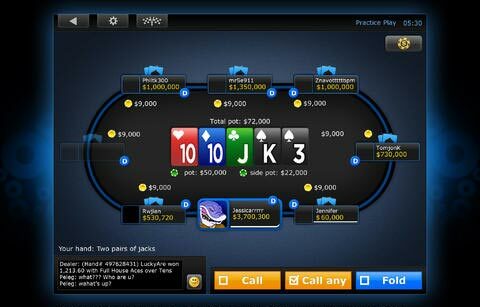 The software offers a unique feature called ”PokerCam” which was launched relatively recently. This feature is only active on PokerCam tables and at these tables each player uses their webcam to display their face at their table seat. The idea is to make it more like live poker, being able to see each other faces, emotions and anything else, that is in front of their webcam. Personally when I play online poker, I want a fast game, and I find it a different challenge to live poker, with different strategy and tells to pick up on. If I want to play live poker, well I’ll go down to my local casino and play it there. To me I just find the webcams and seeing other peoples faces weird and a bit creepy. Most of the traffic is focused on the low and mid stakes tables and tournaments. This means that if you are a higher stakes player then you may have to wait a little while for a game at your stake level to fill up. I find that anything up to $5/$10 cash tables is OK, but anything above this will take a while to fill up. Most of the time this is fine for me as I play mid stakes most often, but occasionally I play higher stakes and usually will play elsewhere over at Full Tilt Poker just because I will find a higher stakes game quicker. Now that we have the negatives out of the way, lets take a look at the the features that really stand out, and all the things that 888 have done a good job on. One of the biggest selling points of 888 is the incredibly easy opponents you find at the tables. This is due to them also being one of the largest online casino and sports services providers, which drives a large amount of gamblers to their poker tables, who are quite inexperienced at poker. Soft games is one of the main reasons why so many players choose to play at 888. The cash games are filled with action from inexperienced players who are really just gamblers, and the poker players who know what they are doing are quite happy to see that and gracefully win pot after pot from them. This is a great feature, with free apps available on both the Apple iOS store and the Android app store. The apps are functional and most importantly free, and download and install automatically to your phone or tablet. I often find myself playing poker on my iPhone while on the train, or travelling in the car, I even sat playing poker while waiting for a Doctors appointment the other day! The software is made by their own in-house company Cassava Enterprises. Although it is not the prettiest software available as mentioned above in the things I don’t like, it works smoothly and is actually quite catchy as long as you are not expecting video game style graphics. You have the option to change the look of the table layout, cards and avatars from several pre-installed designs and looks, with an option to create and upload your own as well. What I really like is that you can see there has been a lot of thought put into making the whole software user friendly, so everyone can concentrate on enjoying their time at the tables, instead of trying to figure out how things works. Buttons are large, clearly visible and placed in convenient locations. There are functions to ease the game-play and make it less of a hustle – tiling, cascading and stacking tables, as well as auto reloading to your desired stack size at the cash game tables. The Card-Room is not a part of any network and is a standalone site which sometimes means that there are not a lot of players / games on the go. However 888 poker is the 3rd largest poker operator on the internet and so this is not an issue for them. There are on average more than 2,300 Cash-Game players playing simultaneously at the tables of 888 Poker. While this isn’t anything extra-ordinary, the numbers are certainly good enough to ensure that there is plenty of choices of tables for you to play at. Game Stakes start from $0.02/$0.04 and go as high as $250/$500. Although, most of the action is between the lowest stake games up to $5/$10. Game variety offered is good. There’s cash-games offered for No Limit, Fixed Limit and Pot Limit in both Texas Hold’em and Omaha. Also offered are less popular games, such as 7 card stud and Omaha in variations of High and High/Low. Table sizes vary between 6max (short-handed), full-ring and Heads Up. 888 Poker features a relatively wide tournament offering, which is divided into two main tournament types – guaranteed tournaments and Sit&Go’s. Both of these seem rich with traffic and run frequently. Scheduled Tournaments mostly run in No Limit Hold’em full-table variation, but there are exceptions, with some events being 6-max tables and Omaha events. Buy-ins range from $0.10 to $500 for the high-roller tournaments. Types of Tournament – Both main types of tournaments are offered – Freezouts (single buy-in tournaments) and rebuys (option to rebuy / add extra chips during the tournament). Sit and Go Tournaments are offered as both single and multi-table tournaments. It’s possible to join a tournament with up to 50 players, which starts immediately once the required amount of players have joined. SNG Types are offered in normal, turbo and super-turbo structures, with table sizes varying between Heads Up, 6-Max and Full 10-man tables. There’s also a wide amount of entry fee levels to choose from, from as little as 50 cents up to a $1,000 single table tournament! The most notable guaranteed tournament is their Sunday Challenge. A whooping $100,000 prize pool is up for grabs each Sunday with a relatively low buy-in of $90, which is really on the low end, given the guaranteed prize pool. As I have already mentioned in the introduction, I have full faith in the integrity of 888 Poker as a company that is publicly traded on the London Stock Exchange since 2005 and is also one of the oldest online gaming companies, founded and operated since 1997. The company constantly receives various industry awards. Most notably they have won the prestigious EGR Award for Best Poker Operator two years running in 2011 & 2012, which is quite an achievement. 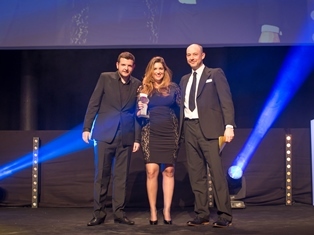 888 Poker collect their EGR award for the Best Poker Operator 2012 for a 2nd year running. Overall, the positives clearly outweigh the negatives and this means that I regularly play at 888 poker. I love the feeling of security that I get from this operator and love using the mobile and tablet apps to play poker when I am out and about. It is evident that the talented people at 888 are working hard at making poker a more enjoyable game to play and they do this by highly rewarding recreational players and making innovative promotions, that make poker more fun to play. 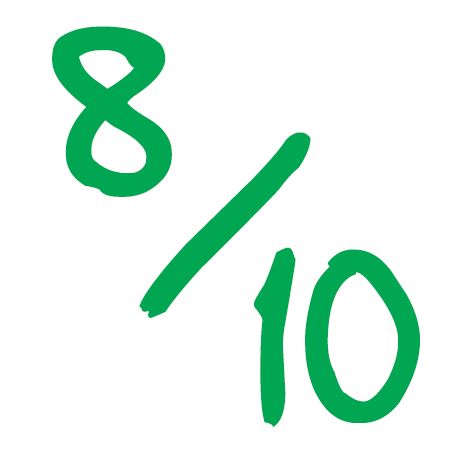 I would give them a score of 8 out of 10 (matching their brand quite nicely! ), with the only real improvement they need to make is to upgrade their software graphics a little, but they still score strongly due to the being about the most trustworthy operator in the industry and you really can’t go wrong by choosing a poker brand, that features more than 5 Million registered members. What are your thoughts on 888? Let me, and everyone else reading this know your comments in the section below.